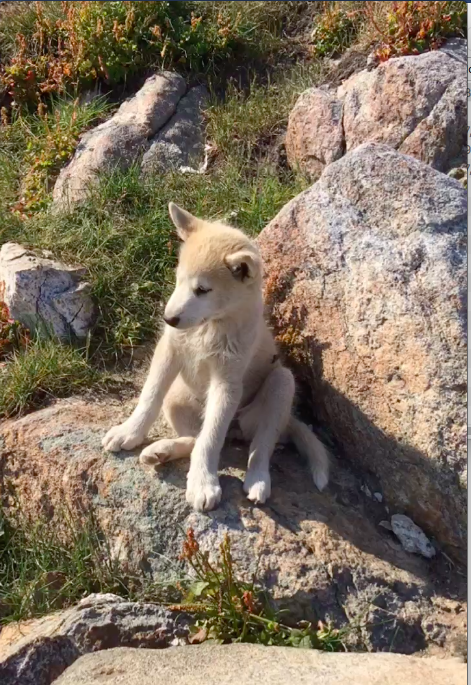 Kulusuk Island is breathtakingly beautiful — a spectacular mountain backdrop, quaint village, turquoise icebergs, even adorable sled-dog puppies. 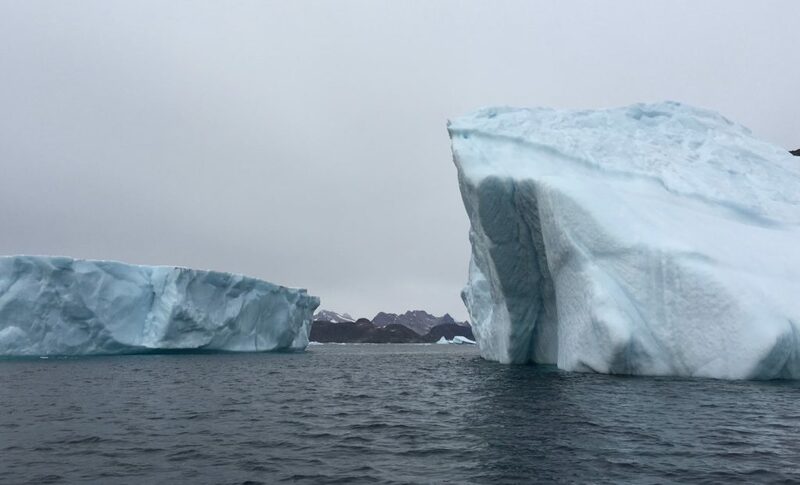 But Oceans Melting Greenland Project Manager Steve Dinardo didn’t choose it as a base because of the scenery. “We came here to work,” he says. 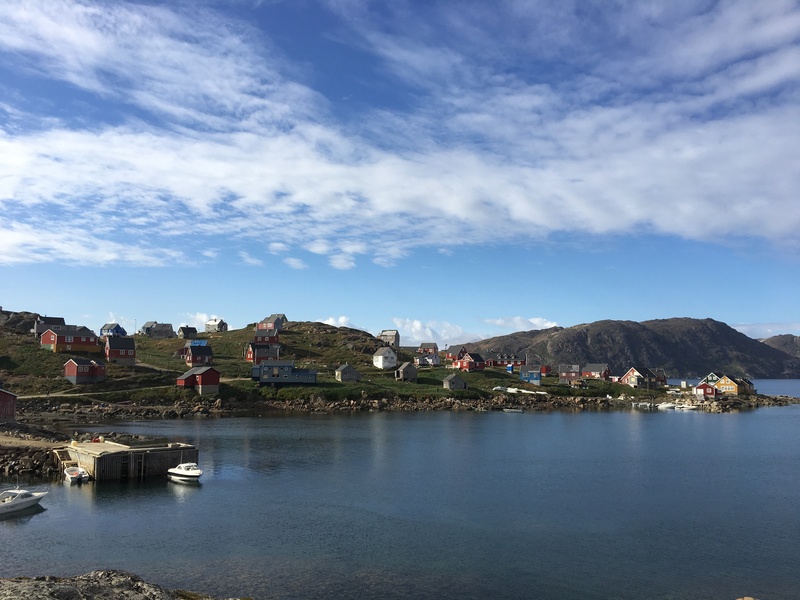 Kulusuk is ideally located for surveying East Greenland, which the locals call the wild side of the island — even more remote and unpopulated than the west coast. But the weather changes quickly, and the little airport doesn’t have a hangar to protect the research plane. If you have any trouble here, you could be stuck for quite a while. Every day in the field is expensive, and winter is just around the corner. So the five OMG team members push themselves to get as much done as possible each day. To begin with, they fly as many hours as they legally can to collect data. After the plane lands, there are still hours of work ahead. The plane is fueled and checked over for the next flight, Steve looks at multiple weather forecasting models to create a forecast for Kulusuk and the probe-drop areas, and Principal Investigator Josh Willis comes up with science priorities to match the weather. Both may end up revising their plans multiple times before the next morning’s fly/no fly decision. Add to this list trying to stay in touch with family at home, answering a few pressing emails, eating, showering and so on. No wonder that some days, the team gets no more than a few glimpses of the incredible landscape out of plane and hotel windows. The team has already had the one mandatory day off that it will get in Kulusuk. As far as I could tell, everyone filled it almost as full as the work days. 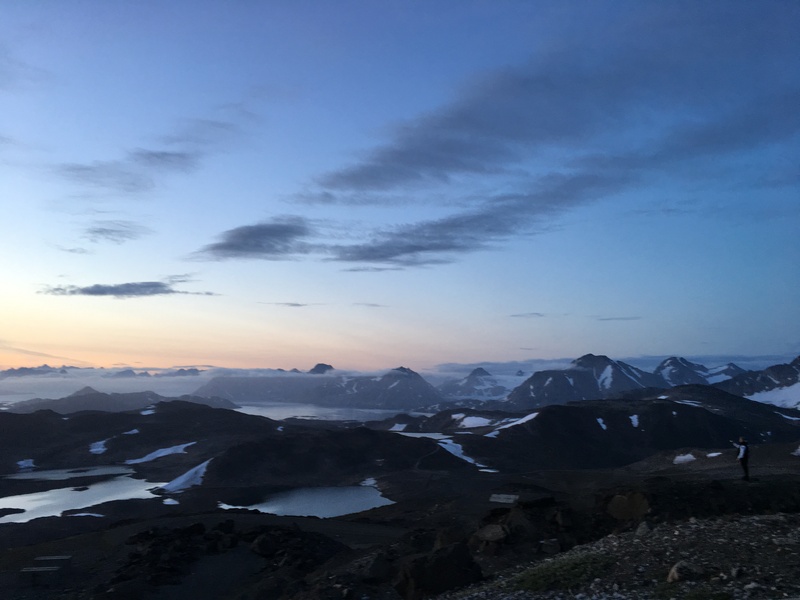 At dinner, several team members did mention a nap, but they also spent some of their precious free time out in the Arctic landscape. 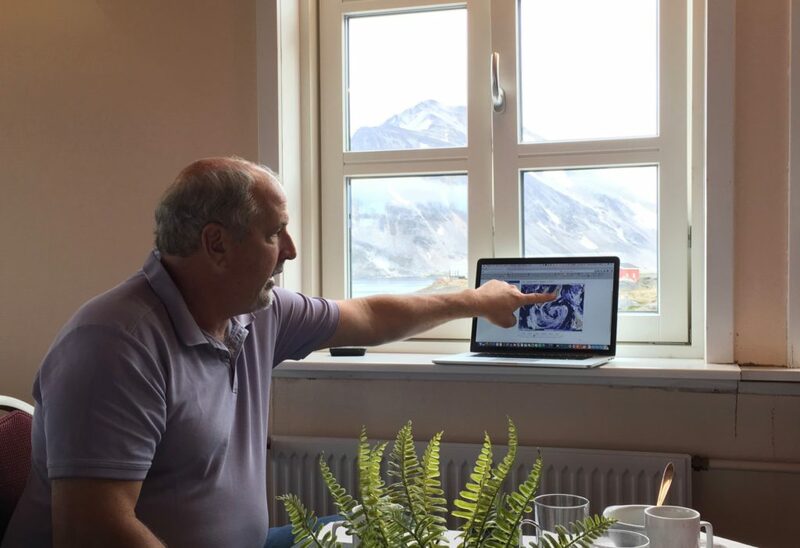 Jakob Ipsen, manager of the Hotel Kulusuk, found a villager to take senior pilot Andy Ferguson fishing and another who took four of us to see a nearby glacier. Later, Jakob drove a few team members to the highest point on the island to watch the sunset. The next morning, it was back to business. 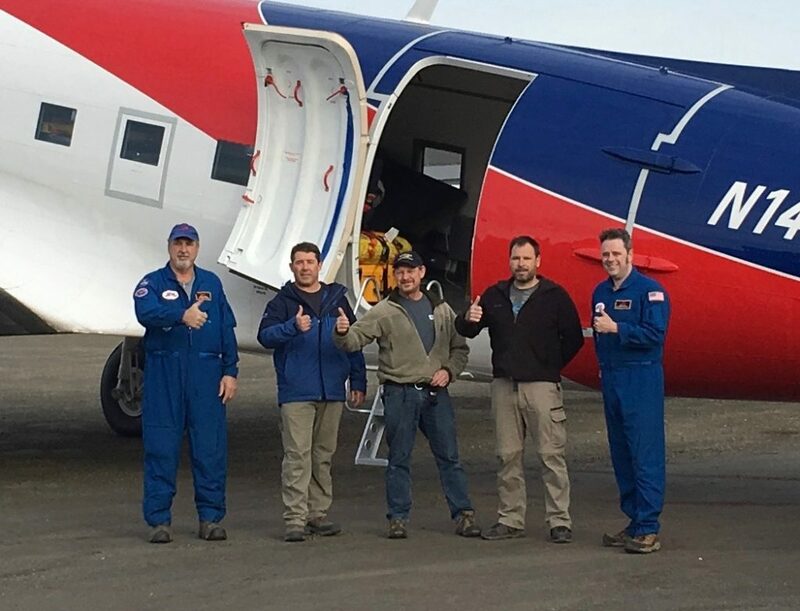 Steve gave a favorable weather forecast at 7 a.m., and the team took off for another eight-hour research flight about an hour later. They flew north to Scoresby Sund and dropped another 10 probes in key fjords, for a total of 99 drops in five days. Only 150 more to go.